We seek to partner with clients who want to make a significant impact in their business and grow well beyond where they are today. However, a dream without a goal is just a dream. A goal without actions is just plans. Execution without planning and dreaming will always come up short of your maximum potential. This is a never-ending closed loop circle of marketing that will always ensure success. A world-class website is the hub of all of your marketing efforts... HOWEVER, ...a website alone will not get you more business. You need to build your brand on a solid foundation, understand your brand, why you exist, what you believe, and who you are as a company before you dive into spending mounds of cash to grow your business. This is where the starting point for every Black Tie Digital client begins. Our Branding DNA Architecture is an incredibly challenging and fun foundational pillar for the success of every Black Tie client. In order to move forward, we must discover where you've been. We will dissect every facet of your business to truly understand how we can best serve you. Now that we fully understand what you do, who you are, and why you exist, we are ready to embark on an exciting journey together to make your brand's dreams come true. In this final phase we will present the proposal on how we will help you achieve your goals through a comprehensive marketing plan. 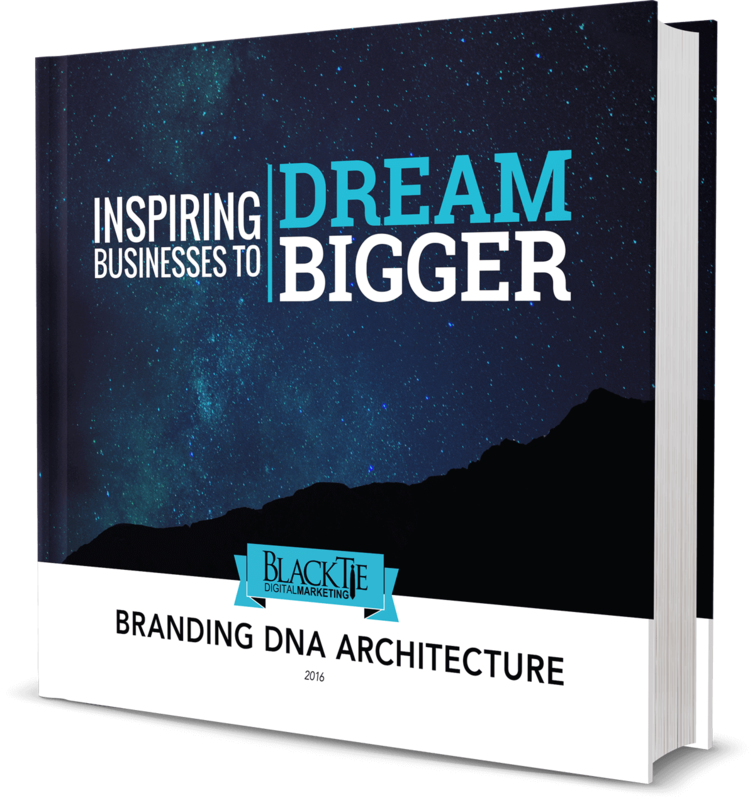 Our Branding DNA Architecture is an incredibly challenging and fun foundational pillar for the success of every Black Tie client. We are a full-service Marketing Agency that can handle all of your needs to facilitate growth for your business.